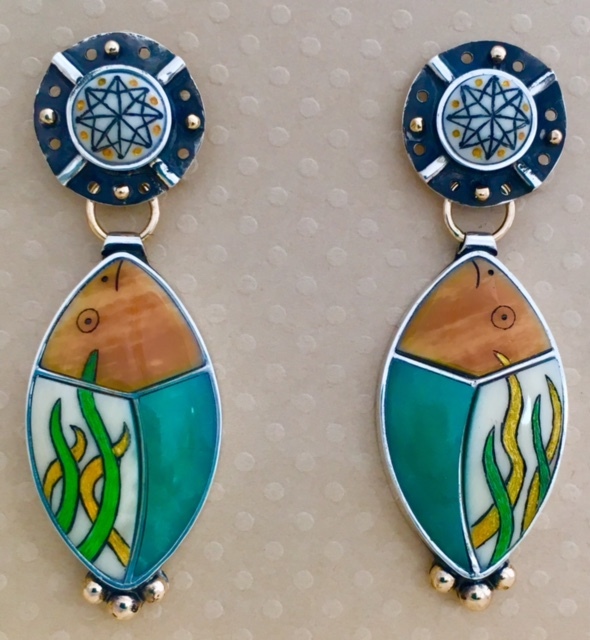 Description: The Halibut Earrings are a stylized design of the Halibut Fish. 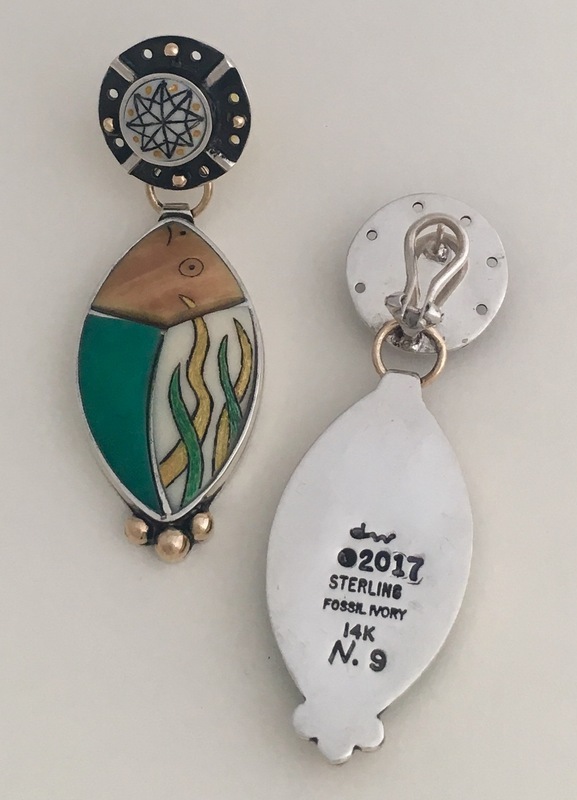 The etched design depicts the kelp. The earrings have omega clips with gold posts on the back and are hinged to give movement when worn.